Back in July, I wrote about a few movies you should have on your list of must sees, among them this tragic (triggering) adaptation of David Harrower’s Blackbird, now called Una. By now you surely know the power of Ben Mendelsohn’s magic; he’s absolutely brilliant at making terrible, often violent people somehow understandable, in a way, even … pitiable (see Bloodline, Rogue One, Starred Up). With the subject matter of Una that seems an impossible task, and yet there’s something lingering in its first trailer that gives me the feeling he’s done it again. 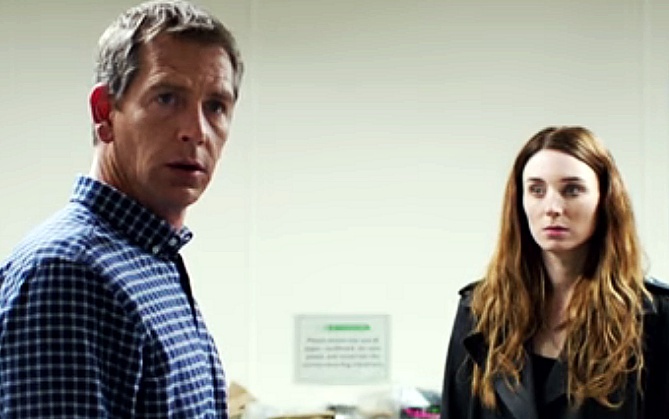 Don’t even get me started on Rooney Mara, because her performance in the clip alone looks soul crushing. Benedict Andrews’ directorial debut also stars Mendelsohn’s Rogue One castmate Riz Ahmed, Outlander‘s Tobias Menzies and Indira Varma, Tara Fitzgerald and Ruby Stokes; it premieres in Singapore January 17th, US release date TBA.